Sensornest is a comprehensive data collection mechanism, able to integrate multi-vendor sensors and to collect data in the cloud. Flydog's aim is to share the innovation and technologies developed in-house over time, to open up more opportunities for environmental data collection. The novelty of this platform consists in supporting multi-vendor sensors and providing seamless data collection, to provide a plug-and-play, straightforward operation. Sensornest is the result of solving several real-world problems, by removing single-vendor lock-in for data-loggers, replacement of outdated hardware, and moving away from limited single-purpose software applications, challenging unrealistic pricing fallacies. A customizable set of sensors is displaced around the environment, to monitor the parameters of interest. All measuring parameters can be fully customised according the each Client's needs. Measured raw data is compressed and encrypted, and sent in a secure way to the cloud, where it's safely stored. The raw data can also optionally be compressed and stored. Data is then processed to be stored in the most convenient way, for example, optimizing it for performance on big-dataset, or for precision. It is then stored in a end-user friendly format. Each Client is provided with a custom data-visualization and data-download online App, which either visualizes the real time stream of measured data, or allows for it to be downloaded, for further analysis. Since each layer of the high-level infrastructure described above is lowly coupled with each other, every instance of this process can be customized according to Client's needs. For example, data-intensive applications can be configured to send data to the cloud in real-time, but only process it once a day (for example, during night hours), to reduce computation impact and therefore minimize costs. Our profiler buoys carry several measuring, surveillance and data collection devices, which are lowered into the underlying column at regular intervals, to perform unique profiling of different quantities. The novel design allows room for the buoy to have a waterproof compartment for even carrying additional requirement. The buys are currently in use at several locations (see map below) and is coupled with SensorNest distributed data-collection mechanism. Use the map below to access to each buoy's live-data page. The buoys are equipped with a remote control that allows to dynamically adjust the profiling parameters (like depth, sampling rate, scheduling, etc.). All profiles are then sent -using several, configurable communication technologies- to the SensorNest Collection layer, where it's processed in real-time, and immediately made available for visualization or download, through the dedicated web application. The committent of the work has full access to such web interface, which includes data-protection mechanisms to prevent theft and/or unauthorized data usage. SensorNest is currently employed to handle remote sensing of weather and meteorological data, allowing to easily deploy measured weather data to the web. A wide array of sensors can be connected to a controller, which is then connected to SensorNest's data collection mechanism. Raw data is sent with variable frequency to the Cloud data-collection platform, which then performs several filtering and processing steps (to 'clean' the signal, which in case of certain sensors, like wind speed and direction, may become jittery in hard-weather conditions), before making the data available through the web interface. 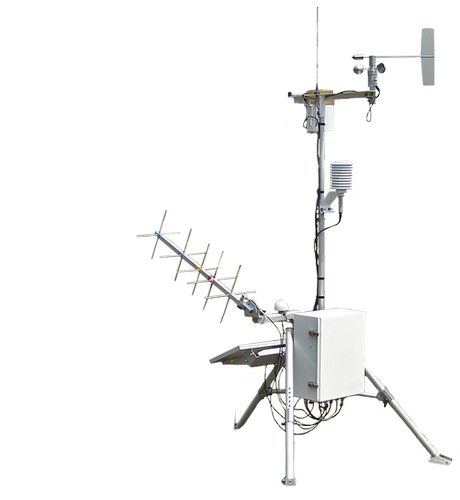 Through the web interface, Client is able to monitor weather conditions at several sites, where sensitive equipment is installed. A number of alerts can be set, in response to several conditions, which are not limited to the measured data only, but can be integrated with external sources (for example, weather forecast information). Below is a dynamically created chart of the profiler buoy 'Oscar', which is easily embedded inside any other existing web application or page. Data is rendered on-the-fly, and it makes it extremely easy to quickly retrieve and browse (browsing functions are disabled here) any of the available datasets, whose configurable access properties allow for external access. 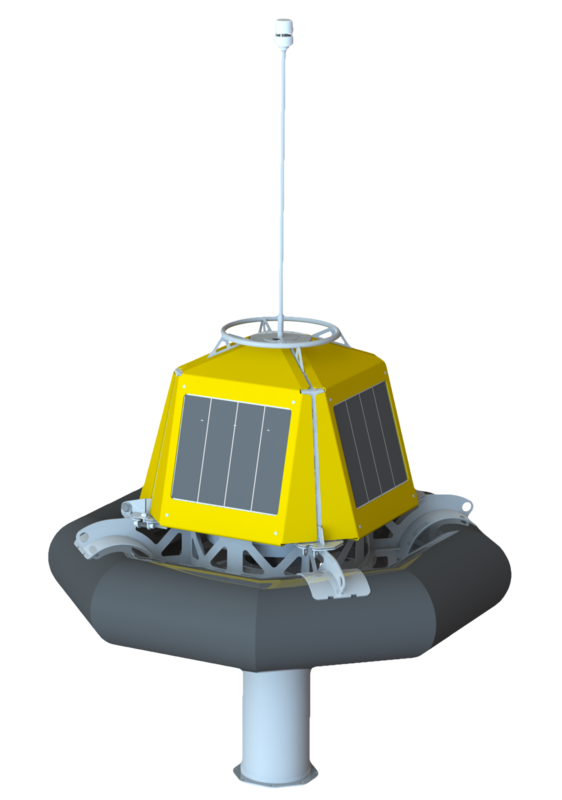 We design and build fully customizable data buoys, vertical profiler buoys, submersed profilers, and complete software solutions, which integrate a large number of sensors and data-collection capabilities, are easy to install, and are competitively priced. Copyright © 2017 Flydog Marine. All rights reserved. Flydog believes that information provided in this publication is correct at the time of publishing but takes no responsibility for accuracy of information published which may be subject to change.